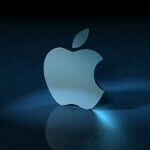 Apple is picking up market share in China even before the Apple iPhone 5 has had a chance to influence the numbers. At the end of 2011, 7.5% of Chinese smartphone users had iOS on their phone. A year later, iOS is found on 12% of Chinese smartphones. 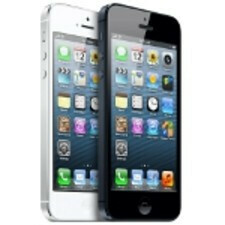 And the momentum continued with the launch of the Apple iPhone 5, which sold 2 million units during the launch weekend. While Apple did add a new carrier partner this year in China Telecom, the device is still not being sold by the world's largest mobile operator, China Mobile. Apple CEO Tim Cook met with executives from China Mobile earlier this month in an attempt to work out the financial details that is holding back a deal. Also making it difficult is the proprietary 3G network used by the carrier. Some manufacturers, like Nokia, have modified its top-shelf model to work over the network. China Mobile has 703 million subscribers and even grabbing a few percentage points of that is worth going after. Meanwhile, Android has a whopping 86% market share as of last December. The version of Android used in the country is different than the one used elsewhere. China's government controls the internet there, so no Google applications like Google Maps or Gmail or YouTube can be on Chinese versions of Android phones. Apple's momentum could lead to a reduction in the large gap between the two platforms. 10,000 more stores will have the Apple iPhone 5 this year than last year. That includes new Apple Stores and 400 new premium resellers. During the fourth quarter, Apple's Cook said that Apple iPhone sales doubled in the region and some analysts believe that 40 million Apple iPhone units will be sold in 2013 in the Asia-Pacific market. Meanwhile, Android and iOS have quite a lock in China with a 98% share of the smartphone market at the end of last year, up from 79% in 2011. Overall smartphone shipments rose 64% year-over-year to reach 53 million units in the fourth quarter.